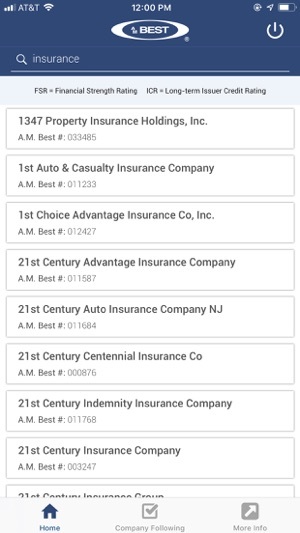 For more than a century AM Best has provided its customers with the highest quality insurance industry ratings and research. 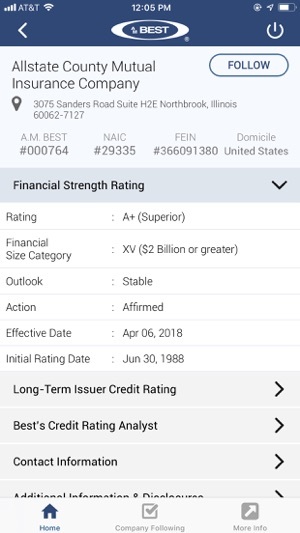 Today Best's Credit Ratings are available on your mobile device. - Search over 3,500 rated insurers by name or AMB number. Results also include non-rated insurers. - Review an insurer's Best's Credit Ratings, contact information, and more. - Follow the insurers you're most interested in. 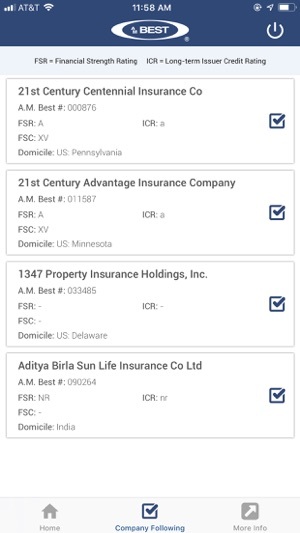 For immediate access to insurer rating information, there's no better way to find it than Best's Credit Ratings mobile app. 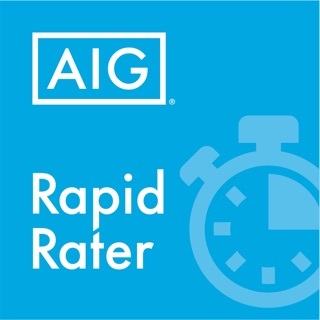 To learn more about Best's Credit Ratings please visit the Ratings & Criteria Center at http://ratings.ambest.com. If you run into issues when using the application, please contact our Technical Products Support department online at http://www.ambest.com/about/productsupport.html. Or call them toll-free at (800) 544-2378. Thank you for choosing AM Best for your insurer research. 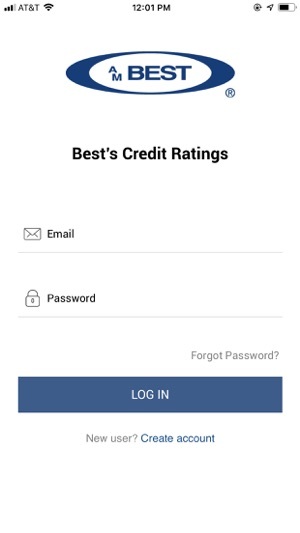 This app allows quick access to the Best's Rating. Great app! Easy to use and quick access to ratings. The app is very easy to use and has everything I need. © 2015 A.M. Best Company, Inc.